John Gag has created a new free theme called FreshMedia based on Styleshout's CSS template. The theme has been made available to everyone and you can download it from your blog administration. I've made a couple of modification and fixes to the original theme that John did, so you may want to re-download it from your admin if you already have it. Thanks John and good job! Janusz Buda has created a plugin to add your Twitpic photos to your sidebar as a pod. You can read more and download from Janusz' blog. Guust Nieuwenhuis has created a plugin that adds links to your favorite social networking sites to your sidebar. 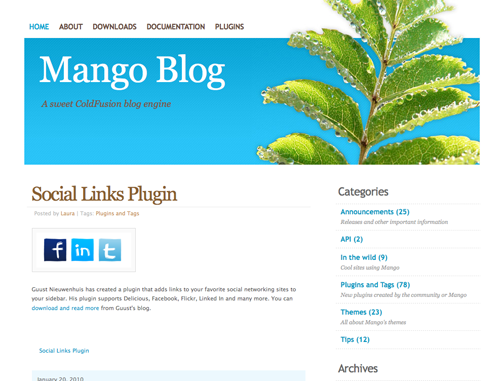 His plugin supports Delicious, Facebook, Flickr, Linked In and many more. You can download and read more from Guust's blog. Mark Aplet has created a plugin that helps you run a honey pot in your site. The Honey Pot Project fights spam by catching spammers and email harvesters. By installing a honey pot in your own website, you help them find those spammers. Read more and download from Mark's blog. Mark Aplet has created a plugin that makes clicking internal links less jarring by adding an easing effect to select links. 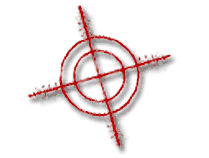 Mark Aplet has created a plugin that adds a script to fade links. It would be a nice effect for things like the category cloud. You can read more and download from Mark's blog. Version 1.4.1 has been out for some time, but it never made it to the automatic upgrading system. I've finally added it so that you will find the upgrade notice in your blog.